The country’s best-known war correspondent learned his trade as an aviation reporter. 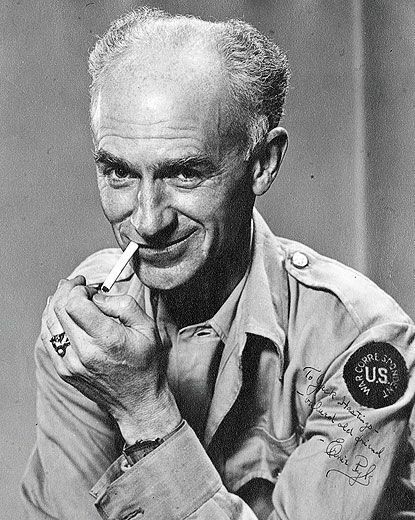 Pyle became famous for the sympathetic dispatches he filed while traveling with the infantry in North Africa, Europe, and the Pacific during World War II. But long before he became a hero of the American foot soldier, Pyle was an aviation reporter—the first in the United States to write a daily aviation column. Starting in 1928 (just 10 months after Charles Lindbergh’s solo crossing of the Atlantic captured the world’s attention), and for the next four years, Pyle’s column was a staple of the Washington Daily News. He wrote about aerial mapping, the perils of night flying, airline safety, and engine and airplane design and profiled cropdusters, glider pilots, military aviators, parachutists, and barnstormers. Based in Washington, D.C., Pyle regularly visited nearby Hoover and Bolling Fields (today the sites of the Pentagon and a Navy-Air Force base), the Washington Naval Air Station, and a handful of smaller airfields. He spoke frequently with senators and congressmen; Jimmy Doolittle was a friend. Pyle hadn’t planned to become a journalist. He’d wanted to serve in World War I, but he was too young. In 1919, he enrolled at Indiana University with a vague plan to study economics. Overhearing another Indiana farmboy touting journalism as an easy major, Pyle signed up. He joined the staff of the Indiana Daily Student, reporting on fraternities, local news, and sports, even following the university’s 12-man baseball team to a demonstration game in Japan. He left the university in January 1923 without a degree, taking a job as a reporter with the La Porte (Indiana) Herald. Four months later, Pyle made the jump to the Washington Daily News. Although hired as a reporter, Pyle was soon also writing headlines and copy editing. By 1927 he was so bored that he asked Miller if he could try writing an aviation column in addition to his other duties. (He had developed a “veneration for aviators that was reminiscent of his [childhood] devotion to automobile racers,” wrote Miller.) After finishing his normal shift at about 2 p.m., Pyle would make the rounds of the airports and airfields, looking for stories. Then he would head home to write his column, and turn it in the next morning. The column was a success; by April, Pyle had his own byline, and in May 1928, he was relieved of his copy-desk duties and free to spend all of his time covering aviation. Just as Pyle would later describe the day-to-day life of the infantry to Americans on the homefront, he used his aviation column to portray the world of aviation to an air-minded public. And the public was eager for details. 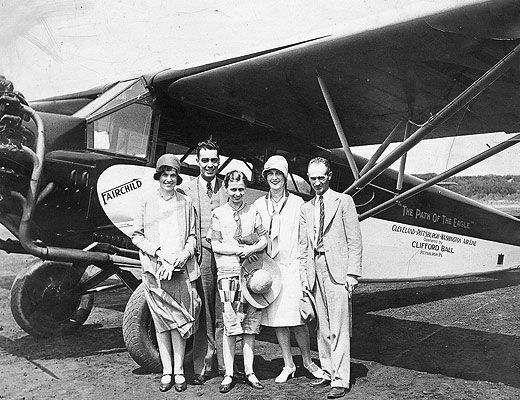 Pyle wrote about flying in a twin-engine Fokker bomber and conducting searchlight tests; his trip in a Ford Tri-motor, flying at 156 mph over the Transcontinental Air Transport’s air-rail line between New York and Los Angeles; and what it was like to take a hop in a Pitcairn-Cierva Autogyro (“We went forward so slowly that you could hardly see the wings pass objects on the ground, but it seemed we were settling very rapidly. Very much like going down in an elevator”). He traveled to Cleveland and Chicago to cover the National Air Races, to Akron to report on the future of the zeppelin (“For long-distance hauling there is nothing in the world as fast, as safe, or as efficient”), and to St. Louis to attend a joint meeting of the Society of Automotive Engineers and the Aeronautical Chamber of Commerce. While captivated by aviation, Pyle found publicity flights and endurance records distasteful; his heroes were airmail pilots. On June 30, 1929, he wrote a tribute to one: “Bill McConnell was in to see us yesterday. That name probably doesn’t mean much to you, for Mac hasn’t done bigger and better things in the publicity lines. “He is an aviator, but he has never been to the North Pole, or the South Pole, or flown across the ocean at midnight with a pig in his lap, or stayed in the air a week without changing his socks. 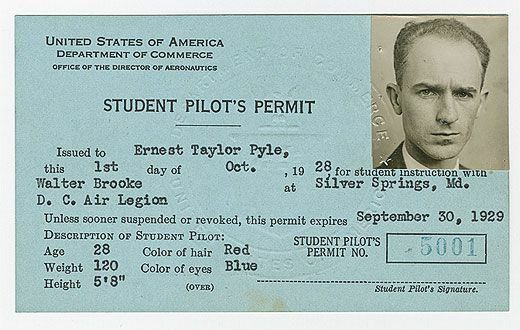 Pyle wrote about pilots by day and socialized with them by night, often in his tiny second-floor apartment on N Street in southwest Washington. The airmail pilots were so comfortable with the slight, redheaded reporter that if they were forced to land due to bad weather, they’d call the postal service first and Pyle second, to give him the story. After England, Pyle thought about following the American air forces: “I could become sort of an adopted unofficial biographer for them,” he wrote Miller. “In a way I could revive the old aviation column....” He ended up in Algeria instead, just two weeks after the invasion of Africa, his first columns covering the Allied troops that had made the original landings, and the hospital units that cared for the wounded. Pyle told Miller he found these columns “inadequate,” but they offered something—the empathetic voice, perhaps—that readers at home seemed to need. After North Africa, Pyle headed to Accra, Ghana, to cover, he told Miller, “the biggest American aerial operation anywhere outside the United States.” He was shepherded around by a friend, Colonel C.R. Smith. 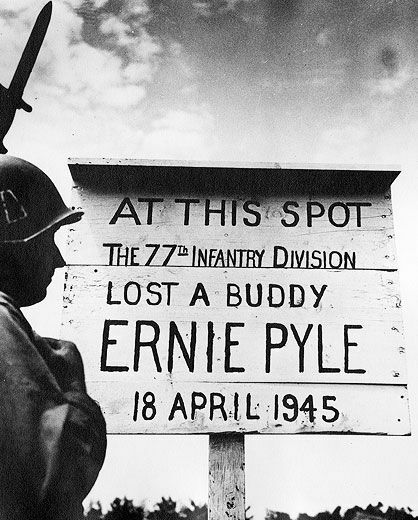 Learning that Pyle was in the audience during a USO performance there, the troops roared “We want Ernie!” Smith wrote in a letter home that the ovation was so big that “even the stars were jolted.” Pyle would eventually travel to Italy, back to England, and on to France, and then to the Pacific Theater. By 1945, almost 700 newspapers carried his byline. During the war, Pyle would continue to run into the people he had met on the aviation beat in Washington, D.C. In 1942, he would catch up with his old friend Ira Eaker, whom he’d first met in 1929 when Eaker was chief pilot on an endurance flight in the Army Air Corps’ C-2A Question Mark. Eaker would become a U.S. Army Air Forces major general, and the commander of the Eighth Air Force. 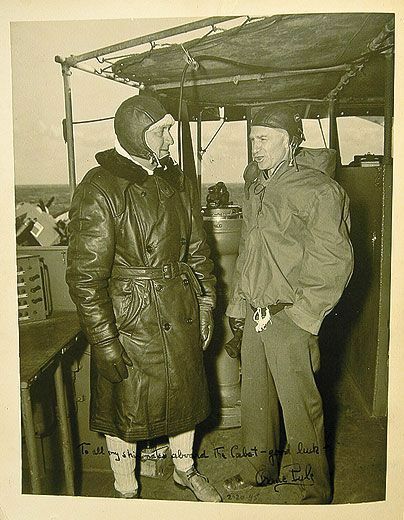 Pyle would also cross paths with General Jimmy Doolittle, whom he hadn’t seen in years; they would spend a long evening reminiscing over a bottle of rye. When Pyle was on a rare trip home to Albuquerque in 1944, he was paid a visit by Helen Richey, who had set an endurance record in 1932 by staying aloft for 10 days; now with the Women Airforce Service Pilots, she dropped in on him while she was ferrying an A-20 across the country. 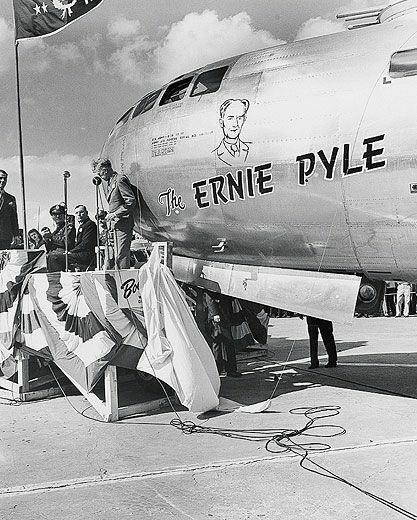 Members of the aviation community invited Pyle to a small ceremony at Washington-Hoover Airport, where Amelia Earhart presented Pyle with a watch. It was on his wrist 13 years later, on April 18, 1945, when he was shot and killed by a Japanese sniper on the island of Ie Shima, off Okinawa. Rebecca Maksel is an Air & Space associate editor.